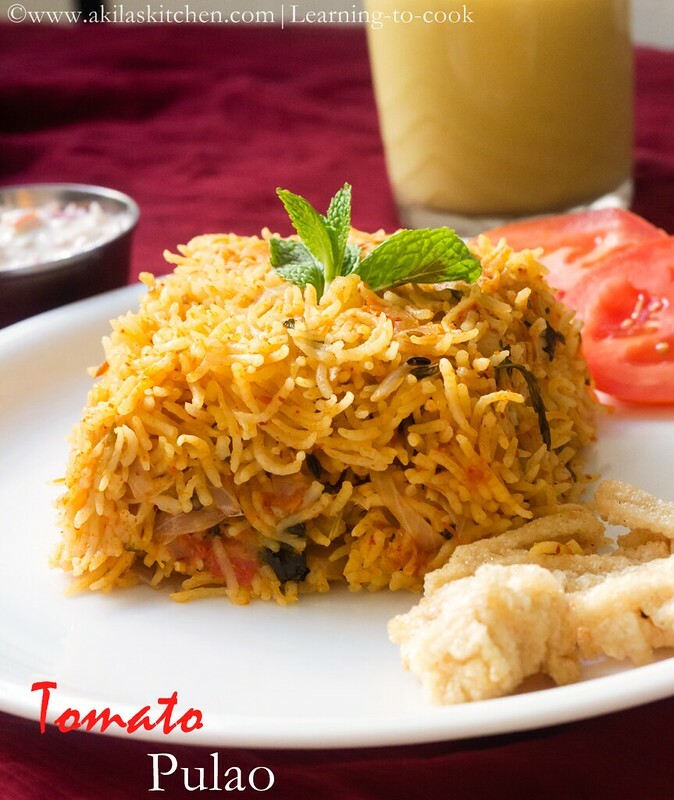 Tomato Pulao or Tomato Pulav or Tomato pilaf is a easy and tasty recipe, which can be prepared in 15min time (except the soaking time of rice). 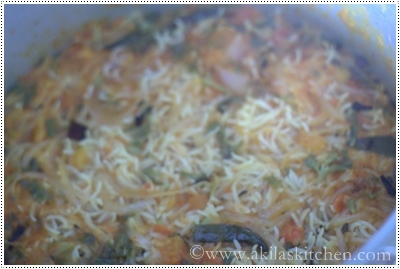 When I am in a hurry to pack the lunch for the kids, hubby and for me, I usually go for this Tomato pulao once in a week. Each time, I feel it was better than the next time and my kids too love this very much. This version is a bit spicy version. So people who does not eat spicy food, can reduce the amount for green chillies or chilli powder. 1. Soak the rice for 30 min. Meanwhile, start doing the preparations steps. 2. 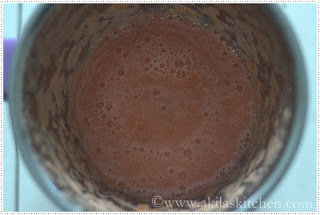 Grind 4 tomatoes in a food processor and make a tomato sauce and keep aside. 3. 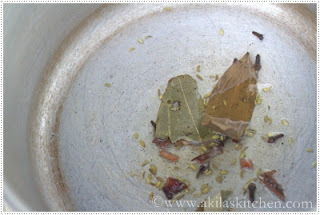 In a pressure cooker, add oil and when it is hot add cloves, star anise, bay leaves, cinnamon stick and fry for a min. 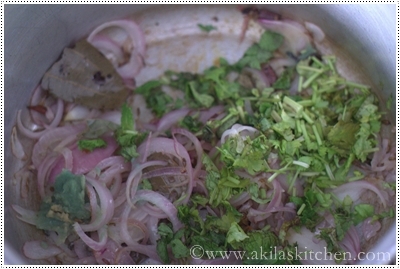 Add onion and fry again till it becomes tender. Add salt at this stage. 4. Add the ginger garlic paste and coriander leaves and saute well. Add the tomato sauce/paste now. 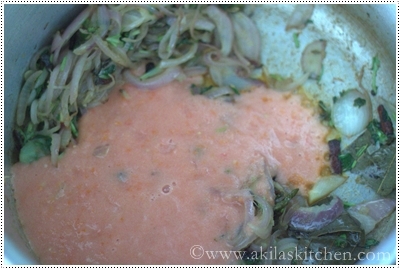 Also add chopped tomato (the 4th one – into small pieces) and saute well. 5. 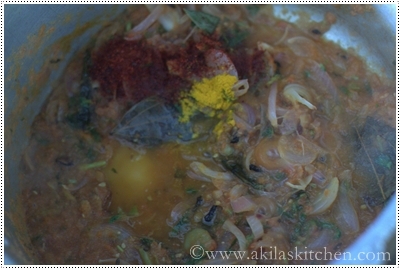 When the raw smell goes off from tomato and ginger garlic, add the chilli powder, and turmeric powder. Add the water and allow to boil. Add the rice when the water starts boiling. Check for the seasoning. Give a stir and close the pressure cooker lid and add weight. Keep the flame low. 6. After 10 min, switch off the stove. 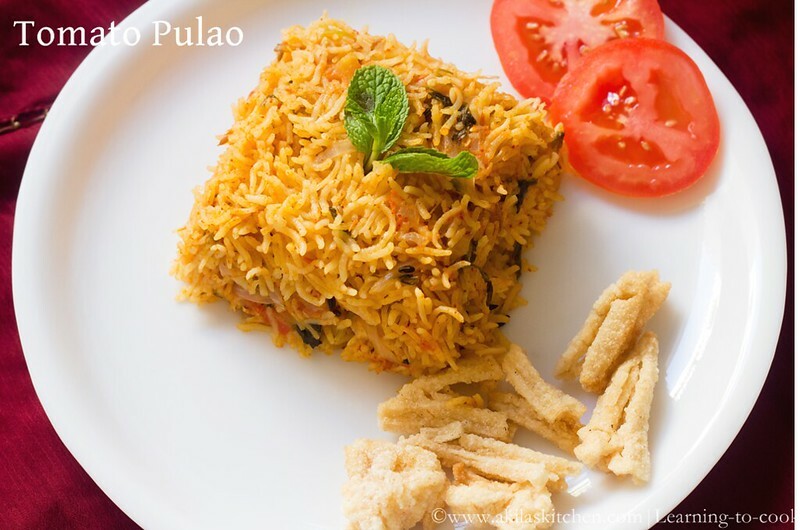 When the pressure decreases, remove the weight from the lid and add ghee to the pulao and give a stir without breaking the rice. 7. 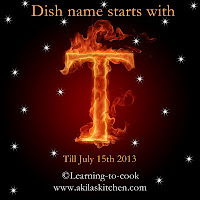 Serve hot with mild side dish (as the pulao is spicy) like Raita and vadam. It had had with Mango Lassi. 1. 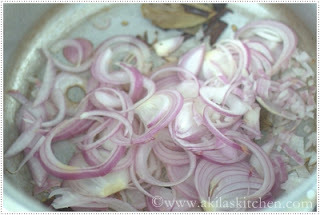 If you want mild spiciness, reduce the chilli powder amout or green chillies. 2. Normally Basmati rice and water would be added in the ratio of 1:1.5, but here I reduced the quantity event less, as we grind the tomato into puree and add it. 3. After adding the ghee, give a stir and again close it for a 5 min time, So that the hot steam inside the cooker, makes it to cook finely. yummy yummy yummy Akila..neatly presented as well ! 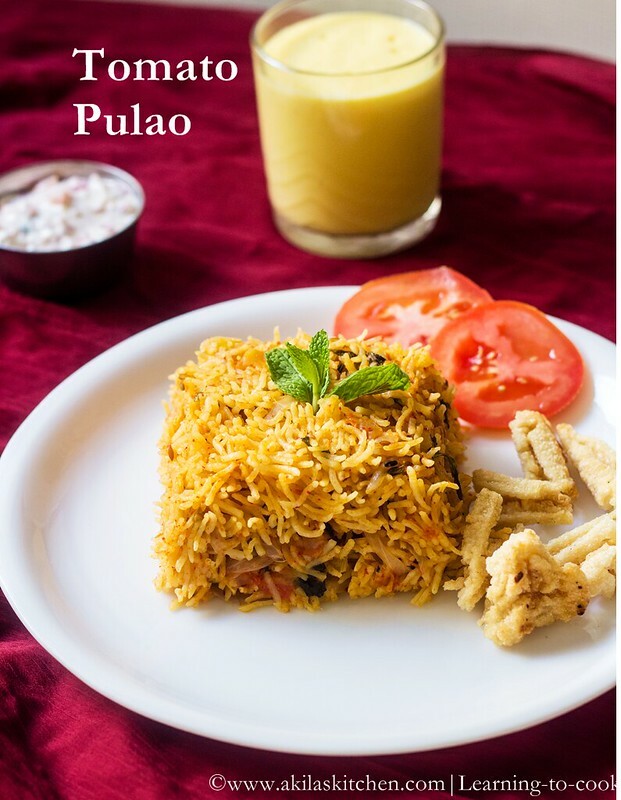 wow.. simple and yummy pulao.. looks perfect..
wonderful presentation & looks yummy !!!!! Delicious lunch box item !! looks so yummy !! wow interesting recipe!! 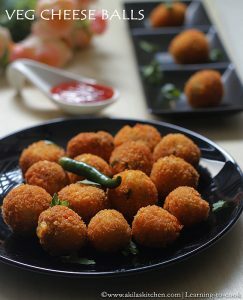 looks yumm n tempting.. 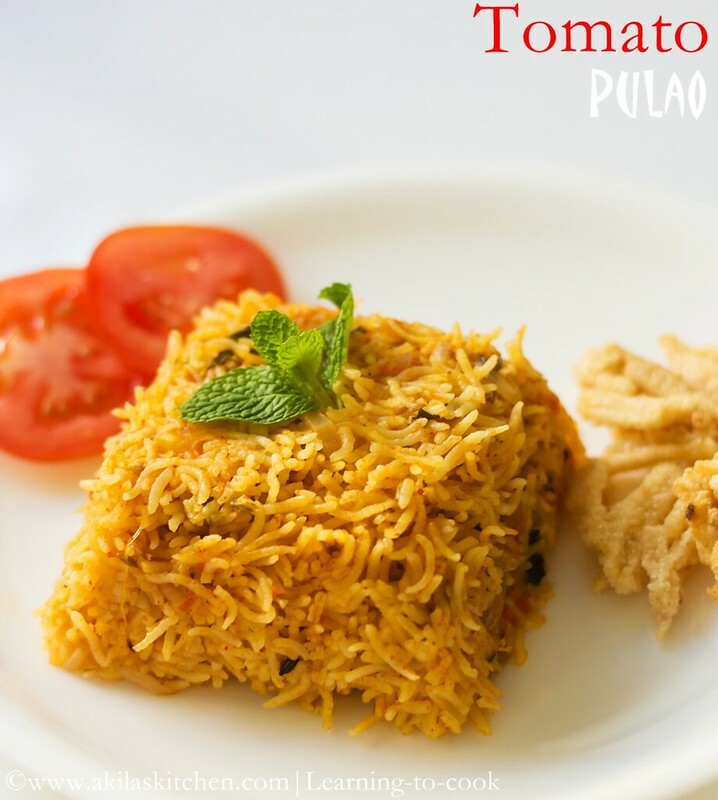 Delicious tomato pulao.. nicely presented..
very yummy and beautiful presentation..
Wow Akila tomato pulav looks simply awesome, very delicious and yummy. 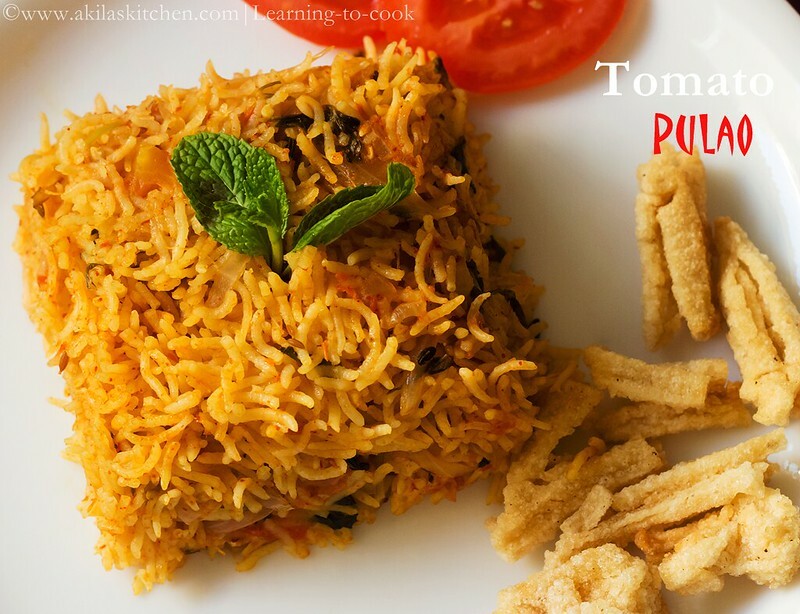 Perfectly cooked pulao! I never grind the tomatoes..shall try this version soon! Super conforting rice…. Ur clicks are amazing ! Lovely. 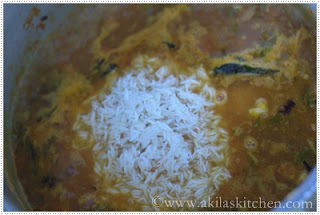 Just the other I was talking with one of my friends about tomato rice and here it appears in front of me. 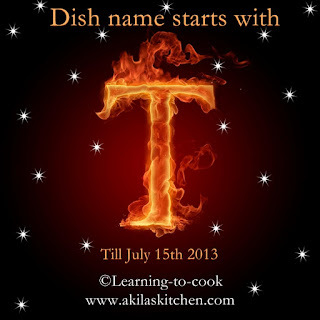 This is perfect, in fact a complete meal by its own and even the side dishes can be kept aside. My meal for the weekend. 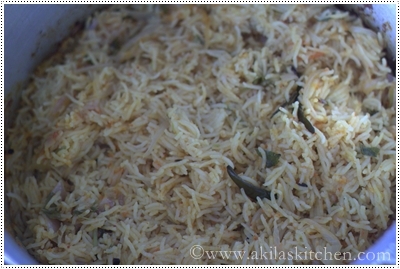 Delicious and tasty looking pulao. Excellent preparation.